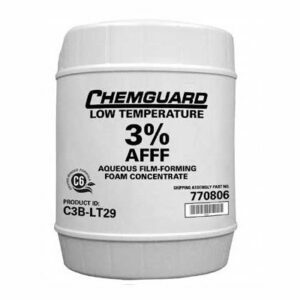 CHEMGUARD C334-LV 3×3 AR-AFFF (Alcohol Resistant Aqueous Film-Forming Foam) Low Viscosity Concentrate combines fluoro- and hydrocarbon-surfactant technologies to provide superior fire and vapor suppression for Class B, polar solvent and hydrocarbon fuel fires. 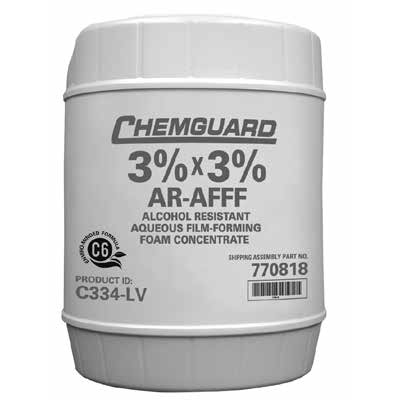 CHEMGUARD C334-LV 3×3 AR-AFFF (Alcohol Resistant Aqueous Film-Forming Foam) Low Viscosity Concentrate combines fluoro- and hydrocarbon-surfactant technologies to provide superior fire and vapor suppression for Class B, polar solvent and hydrocarbon fuel fires. The low viscosity of this concentrate enables ease of proportioning in a wide range of equipment such as in-line eductors, balanced pressure systems, built-in systems aboard ARFF (Aircraft Rescue and Fire Fighting) and other emergency response vehicles. This synthetic foam concentrate is intended for forceful or gentle firefighting applications at 3% solution on hydrocarbon fuels and at 3% solution on polar solvent fuels in fresh, salt, or hard water. CHEMGUARD C334-LV Concentrate is a non-Newtonian fluid that is both pseudoplastic and thixotropic. Due to these properties, dynamic viscosity will decrease as shear increases. 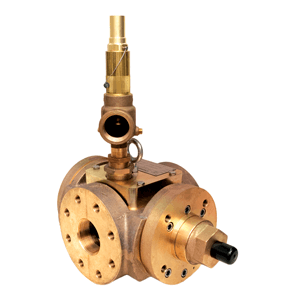 The environmentally-mindful CHEMGUARD C334-LV 3×3 AR-AFFF Concentrate formulation contains short-chain, C-6 fluoro-chemicals manufactured using a telomer-based process. The telomer process produces no PFOS, and these C-6 materials do not breakdown to yield PFOA. The fluorochemicals used in the concentrate meet the goals of the U.S. Environmental Protection Agency 2010/15 PFOA Stewardship Program. 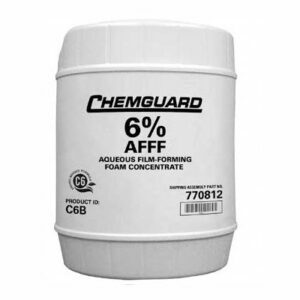 CHEMGUARD C334-LV 3×3 AR-AFFF Concentrate is intended for use on both types of Class B fires: hydrocarbon fuels with low water solubility, such as crude oils, gasolines, diesel fuels, and aviation fuels; and polar solvent fuels with appreciable water solubility, such as methyl and ethyl alcohol, acetone, and methyl ethyl ketone.